General practice nursing is the fastest growing area within the healthcare sector with over 60% of Australian GP clinics now employing a practice nurse. As the healthcare industry turns its focus back to primary and preventative health, the role of practice nurses is increasingly important in providing improved health outcomes and continuing care to patients. Practice nurses are an important part of the primary care team and work in a variety of contexts such as private practice, community health centres and indigenous health centres; both in urban areas and across regional and remote Australia. The role of a practice nurse can vary depending on experience and the size of the practice but can include patient education and support, wound care, patient triage, immunisation, preventative health screening, diagnostic services, pathology collecting, sexual health services and much more. Practice nurses may also be responsible for a number of administrative tasks such as organising referrals, maintaining patient information systems, managing treatment room equipment, stock management and assisting reception staff. How do you become a practice nurse? The majority of practice nurses are registered nurses who have completed a Bachelor of Nursing and hold current AHPRA registration. Some nurses may also choose to undergo specialised postgraduate study such as a Graduate Diploma or Masters in Nursing (General Practice). Larger health centres may also employ an enrolled nurse to work under a registered practice nurse. 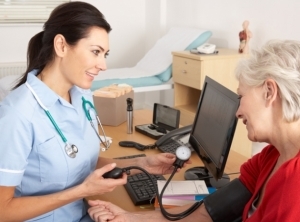 To become an enrolled nurse you must complete a recognized course such as a Diploma of Nursing. To view a range of nursing courses, click here. To search for practice nursing jobs, click here. Registered practice nurses typically earn between $52,000 and $80,000 depending on location and experience. Click here for more information about nurse salaries in Australia.